The icy drafts that flow through the halls beat at Ciel&apos;s back as he enters the bedchamber Sebastian and him share. Warmth blooms throughout his torso and arms and the air inside the stone walls envelops him in an array of darkness and heat. Sebastian&apos;s sinewy fingers brush against the boy&apos;s coltish leg and he steps in further, closing the door behind them. One could suppose, that in an array of death and chaos... fiendish decay and demonized youth, you could become quite lost within the endeavors of another. But, perhaps Ciel is nearly already lost within the endeavors of another; Sebastian being the causes of all that he is. "Sebastian, you must speak with Taurus soon." "Yes, yes... I know. Given the implications of our relationship, I am unsure as to when it would be appropriate to start asking for information." Ciel succumbs to his tiredness as he sinks into the lavish armchair in the corner of the room, his bustle sinking into the plush as his horns poke the large backing of the chair. "I mean that if we are to take our leave anytime soon, we must first finish our &apos;contract&apos;. Does my love understand?" He is looking at Ciel pointedly, yet the boy&apos;s confused expression leaves the words slumped in the air. Sebastian sighs deeply as he begins to explain away the wanton words floating down from around them. 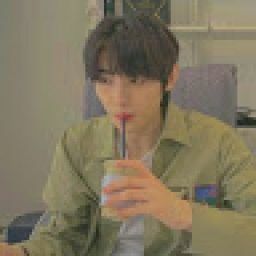 "You see, since we are friending this contract of ours, implying that you are not a half-blood, yet a full-blooded demon, we must find a way to end it before we take our leave. Think of something easily attainable that can be taken care of quickly, if you will. As soon as the act is underway, I can begin questioning Taurus." The former earl sits back into the dusty covering of the chair, his slim fingers winding themselves in the gold trimmings and fringe outlining the beautiful picture before Sebastian. "I shall think on that... but tonight I am too tired, Sebastian. It must be awfully late." The eldest demon smirks at the demonling&apos;s lithe appearance as he gazes at Sebastian through hooded lid, knowing full-well that the path chosen was never thought to be easy. Ciel&apos;s gaze pulls Sebastian to him, his hand wrapping around one of the numerous chains adorning his side. Sebastian leans down slowly, resting a hand on an arm of the chair. Ciel is at ease, like this... his true form enlightened as he basks in the underworld. This realm of loathing and deprivation merely welcoming in a sense. He runs a finger along one of Sebastian&apos;s curled and gnarled horns, his finger grazing along every ridge and notch in the obsidion ivory spirals. As his left leg rises to brush against Sebastian&apos;s hip, soft lace scratches along black leather in a most endearing way. 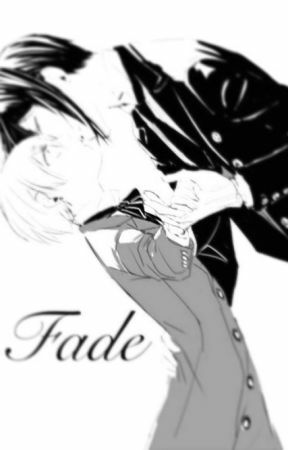 Ciel&apos;s eyes are closed, his black-tipped and clawed fingers brushing against Sebastian&apos;s neck and thigh. "Perhaps the thing you need is information... and that is the contract we made?" Ciel&apos;s eyes open as he pulls his lips away from Sebastian. "Perhaps... yes, that may work. Hiding in plain sight." Ciel smirks then, pulling his lover into a bruising kiss. His hips brush against Sebastian&apos;s delicately, his breath hitching in his throat much as the words would&apos;ve stopped there months ago. Their tongues tangle in a dance as Sebastian lifts him gently, carrying the wanton little thing to the plush bed. His kisses leave the child breathless, writhing underneath the elder as his wrists are pushed further down into the plush below them. His panting comes out in whispers as Sebastian&apos;s lips graze along his ear and neck; his tongue brushing against pale skin. Darkness spills from the two as if caught in a lively riverdance... and Ciel supposes he could stay here like this for an eternity. He supposes he could stay here, wrapped in his lover&apos;s arms... letting every instinct into the ballet winding its-self up and around thin arms and shoulders. Yes... he could stay here forever. Though he&apos;d never thought he&apos;d had to.